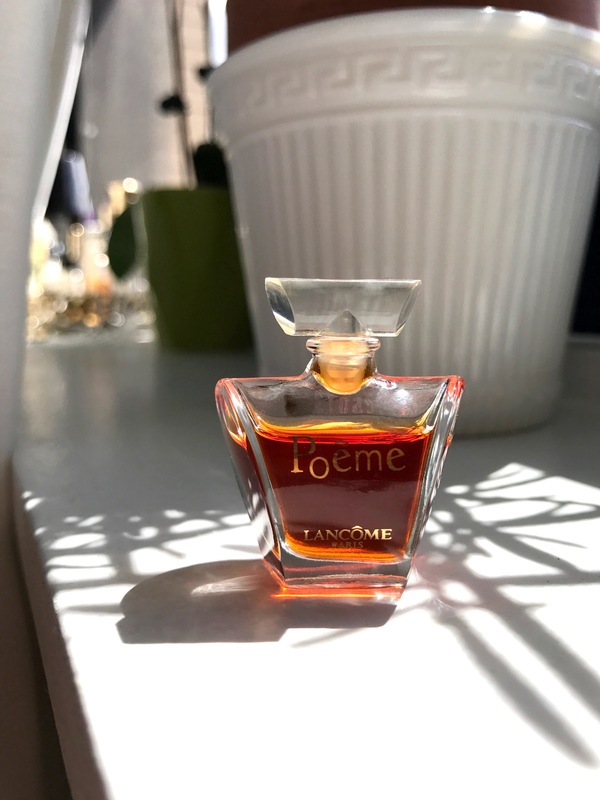 Vintage Poême (Lancôme 1995) is round and luminous. The honey-hued florals are alternately soapy and juicy, and while that sounds rather odd it doesn’t present as anything but a perfect sort of beauty… Imagine taking a peach infused milk bath in a clawfoot bathtub with fresh mimosa, angel’s trumpets, freesia, and daffodil bouquets in a sunny, open windowsill nearby. It’s supple, rich and lovely with a slightly vanillic amber bitterness that illuminates the base creating a prismatic, warm light. Top notes: peach, Himalayan poppy, plum, green notes, black currant, mandarin orange, datura, bergamot and narcissus. Middle notes: Rose, jasmine, freesia, leather, mimosa, orange blossom, tuberose, vanilla flower, ylang ylang, and heliotrope. Base notes: musk, amber, tonka bean, vanilla, orange blossom and cedar.